Beacon is a small, battery-operated device that transmits BLE signal at regular intervals. Eddystone and iBeacon are the most common communication protocols to transmit BLE signals from a beacon. The fundamental difference lies in the formats the BLE signals are broadcasted in each protocol. While both beacons broadcast IDs, Eddystone beacons can also transmit telemetry data from sensors under Eddystone TLM. Eddystone is a set of open beacon protocols and standards developed by Google. A beacon in this context is a miniature radio that broadcasts data over Bluetooth Low Energy (BLE). Typical ranges of the broadcast signals are 20-100 meters. The size of a beacon is 3-5 centimeters, which makes it simpler to fit it in various applications and backgrounds. A majority of beacons these days are independent, stand-alone devices operated on a battery. The battery lasts not for weeks or months, but for years. The electricity grid can power stationary beacons too. Unconventional power sources are also possible, like solar energy and wind energy. A most common example of beacons in real-life scenarios come across mobile phones capability to detect beacon signals and trigger push notification if the right app is installed. The installed app triggers push notification to alert a user when he or she is in the beacon’s proximity. 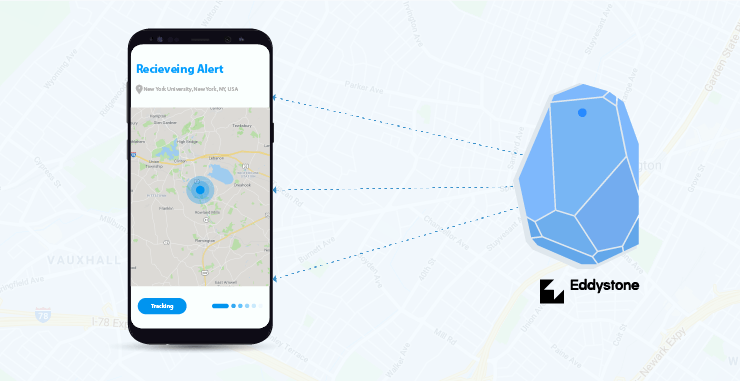 It displays nearby beacons in range at any given time, and fetch information broadcasted from it and present notifications to the user. 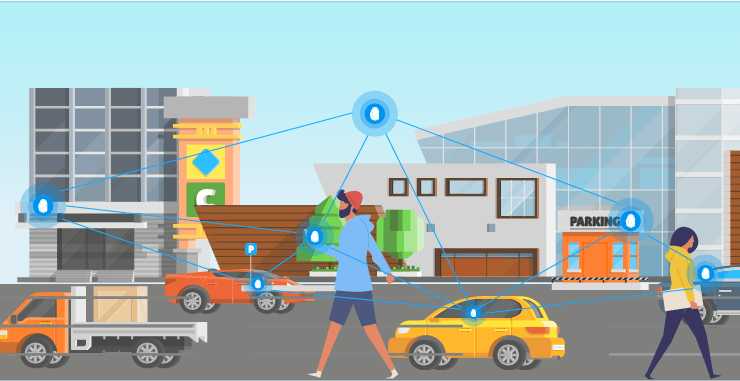 How Eddystone can Empower Connected Sensors? 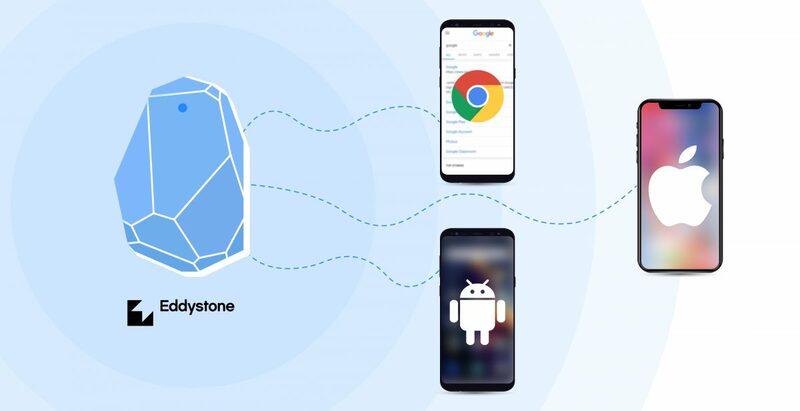 Eddystone beacons in addition to broadcasting an ID or a URL can also broadcast telemetry data under Eddystone TLM that an associated mobile app can read to present information related to the beacon in the form of a notification. Unlike iBeacons, standard Eddystone beacons also broadcast data from sensors. The app calculates approximate distance to the nearest beacon by looking at the signal strength. Fundamental triangulation using broadcasts from three beacons can give the position of the user in the network. We can equip Eddystone beacons with numerous sensors and broadcast sensor data to nearby supported apps. 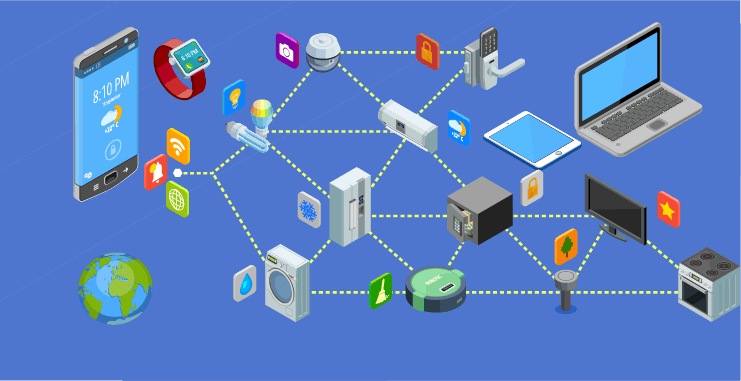 The Eddystone protocol, is extensible and can be configured to broadcast data from connected sensors too. Eddystone is an open standard from Google. Google allows BLE mobile app developers to extend it with custom frame types. A frame consists of a packet of data encoded in the signal broadcasted by an Eddystone beacon. Underlying BLE standard restricts number of bytes each frame may contain. Eddystone overcomes this problem by broadcasting dissimilar data types in a sequence, using various packets or frames. Eddystone format can rest output from temperature sensors, humidifiers, and LEDs into a single frame. Another frame can contain for data from accelerometer, speedometers and gyros if an application needs that data. In a nutshell, Eddystone TLM allows broadcasting data from any type of sensors. Extensibility is the greatest strength of Google’s Eddystone standard. If you do custom hardware, you can reprogram the BLE module to broadcast data your hardware supports. In the months to come, we might see Google standardizing new frame types for Eddystone to support consistency in the beacon platform. Meanwhile, you can use custom frames intended for your beacon hardware. IoT-based products need three parameters to work in order: hardware sensors to collect, beacons to broadcast that and mobile applications to present the data to the users. The mobile app acts as a remote server to showcase sensor data transmitted to it over BLE with the help of an attached beacon device. The app catches broadcasted Eddystone frames and visualizes data from various sensors in a systematic order. Personnel working at hazardous environments such as oil rigs, power stations, biochemical plants are at a greater risk of fatality due to explosions, toxins, and fire. Safety inspectors deployed at the area have a greater responsibility of ensuring the safety of people working there. They need to ensure the various safety parameters are below safe limits all the time, which means they have to monitor a number of sensors at a time. Eddystone TLM can broadcast telemetry data from various sensors in the area on the safety inspectors’ mobile phones and tablets. The continuous access to data regardless of where an inspector is; heightens the safety of personnel. Controlled environments have to isolate themselves from the surrounding to favor the conditions within. If there is a server farm, you need to maintain a specific level of humidity, temperature, and other conditions to ensure the farm is running at its full efficiency at all times. Server farms tend to be huge and require too many on-site personnel to maintain them. This is applicable for most controlled environments. This makes running them a costly affair. Eddystone TLM broadcasting the sensors data to nearby personnel can be pushed to the cloud database over the internet. From there, it will be available for everyone from everywhere with authorization. eCommerce has a significant impact on the size of warehouses. Today’s fulfillment center can span over 300,000 sq. ft. Indeed, they aren’t the easiest to manage. Managing them takes substantial labor force to work 24/7 yet most of them run into frequent quality and safety issues. Sensors are great tools to mitigate quality and safety issues provided their data is accessible anytime, anywhere. Eddystone TLM provides great measures to make the data not only accessible but also interactive if you have a nice inventory management system with analytics in place. Perishable goods have a shell life if and only if they are kept in a prescribed environment whether in transit or stationary. For example, artificial insulin needs a subzero environment at all times. However, continuous monitoring is hard to come by for moving goods. The driver’s smartphone can catch broadcasting TLM signal from temperature sensors connected to beacon inside the storage unit. The application will log the continuous stream of data in the local storage. A drug inspector can check those logs to ensure quality. Build a mobile app to talk to your sensors. Get in touch now!